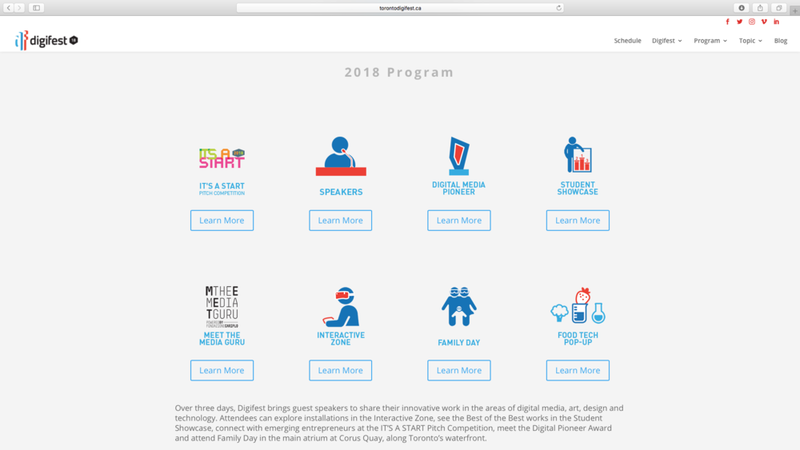 Our principal designer, Helen Bae was chosen to lead a Digifest 2018 event as a senior graphic designer / art director. Digifest is an annual tech Event held by George Brown College since 2011 and had a theme 'Hello Tomorrow - Our Creative Cities this year. 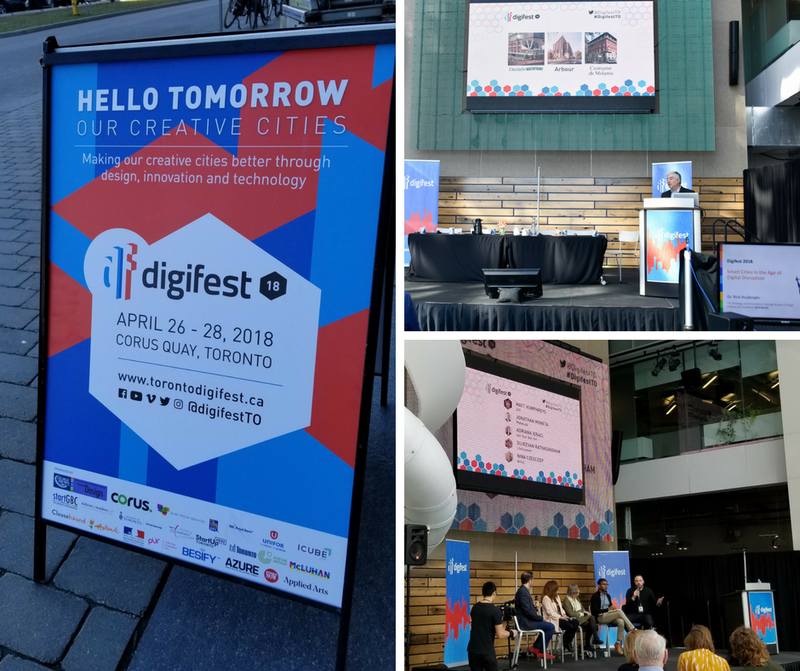 Helen led the visual graphic strategy for Digifest 2018 which consisted of print materials - program book, posters and digital materials - digital advertising, creative direction for all marketing materials and website and social media images. * Copy rights of some photos belong to George Brown College. Copyright © 2009 - 2018 BAE DESIGN STUDIO. All rights reserved.